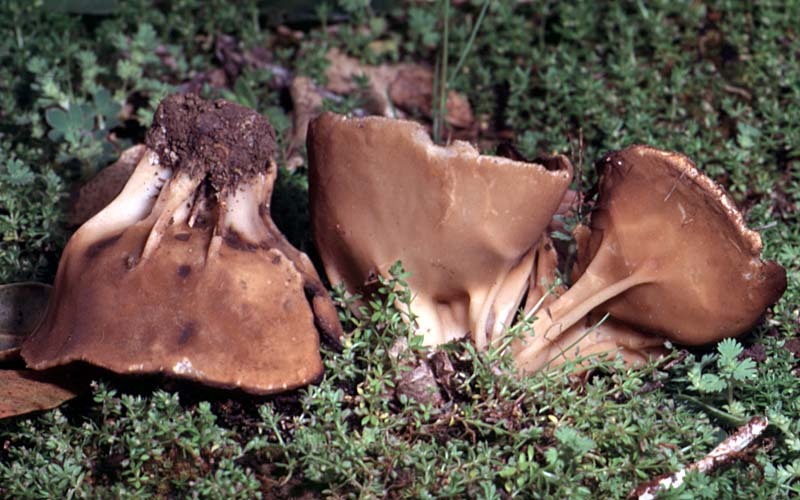 Cap 1.5-6.0 cm broad, cup-shaped; margin incurved toward the center when young, irregular in outline, sometimes torn or ragged in age; fertile (inner) surface dull brown, subglabrous; lower surface more or less smooth, light brown, with conspicuous raised pallid to cream-colored ribs extending from the stipe base to approximately the mid-point of the cup; context thin, brittle, pallid; odor indistinct; taste mild; stipe 1-2.5 cm tall, 1-4.0 cm thick, whitish, deeply ribbed to lacunose. 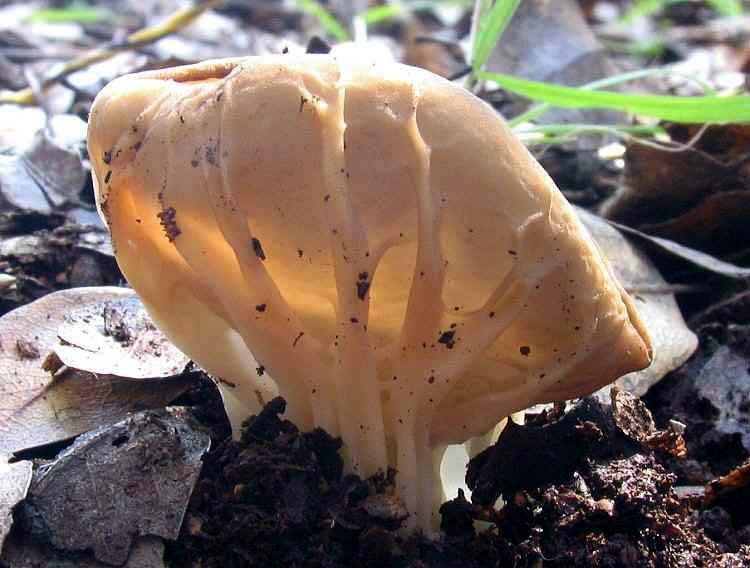 Spores 16-19 x 11-13 µm, broadly elliptical, with a large oil droplet; spore deposit not seen. 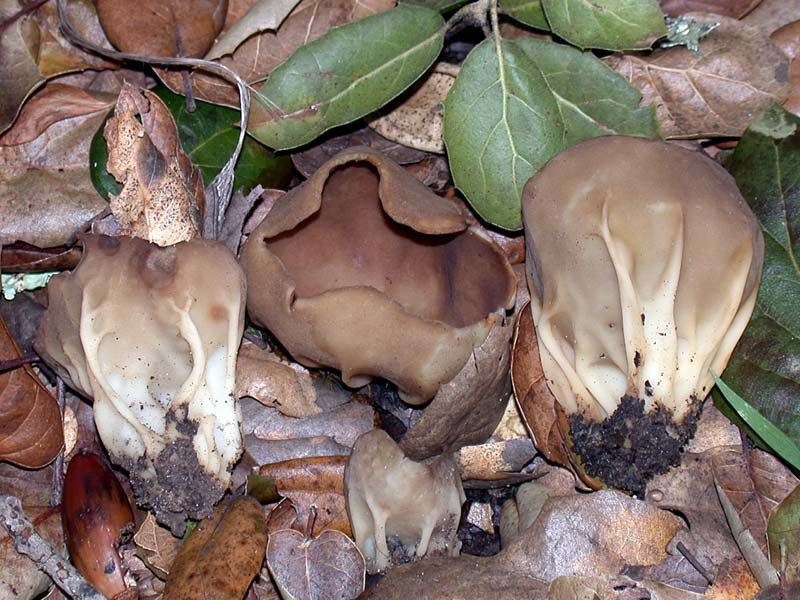 Solitary to scattered in open areas under hardwoods, especially coast live oak (Quercus agrifolia); fruiting from late winter to spring. 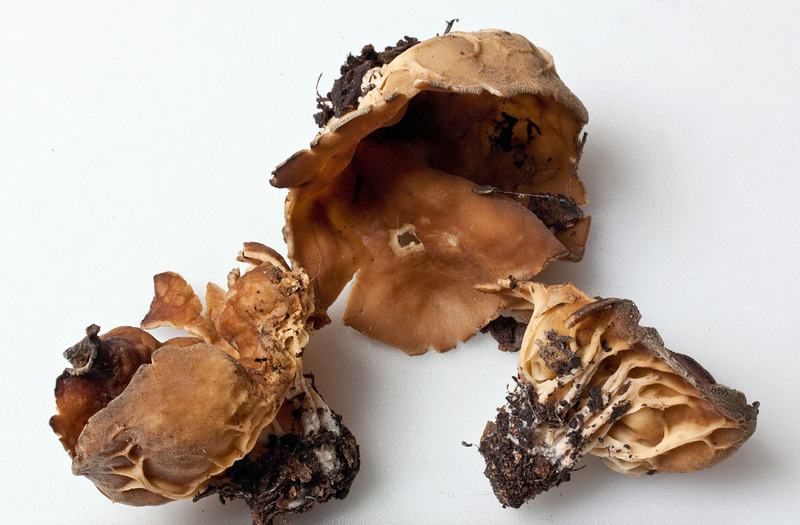 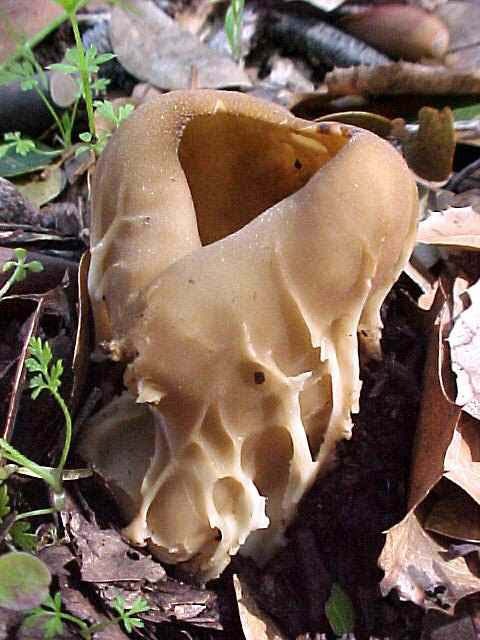 Helvella acetabulum is one of the more distinctive members of the genus with a brownish cup supported by pallid to cream-colored ribs. 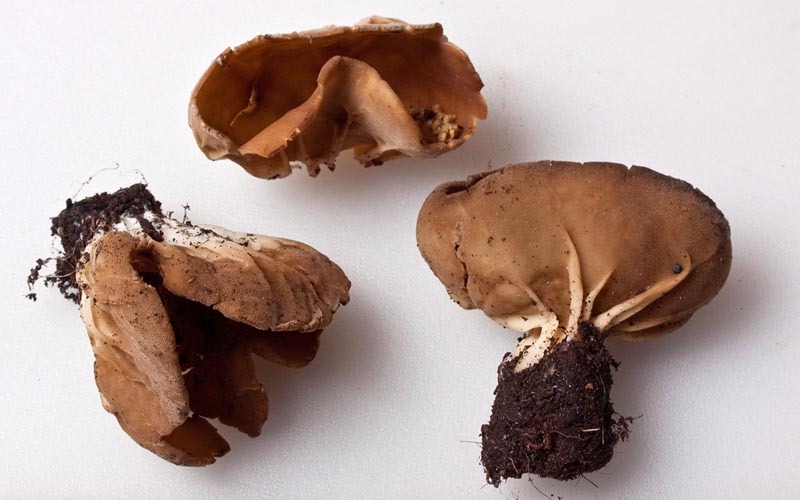 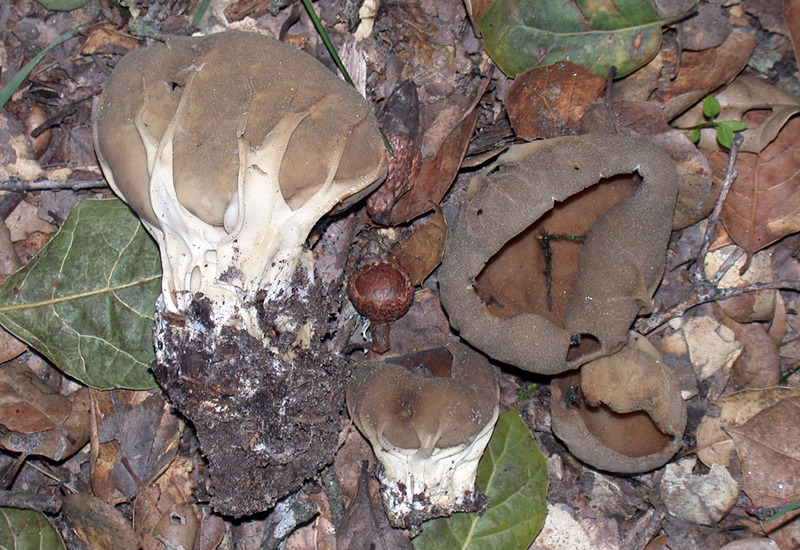 Related species include H. leucomelaena, with a darker cup, a short stipe of rounded folds rather than ribs, and H. queletii, with a well developed ribbed stipe, but the ribs seldom extending past the base of the cup. 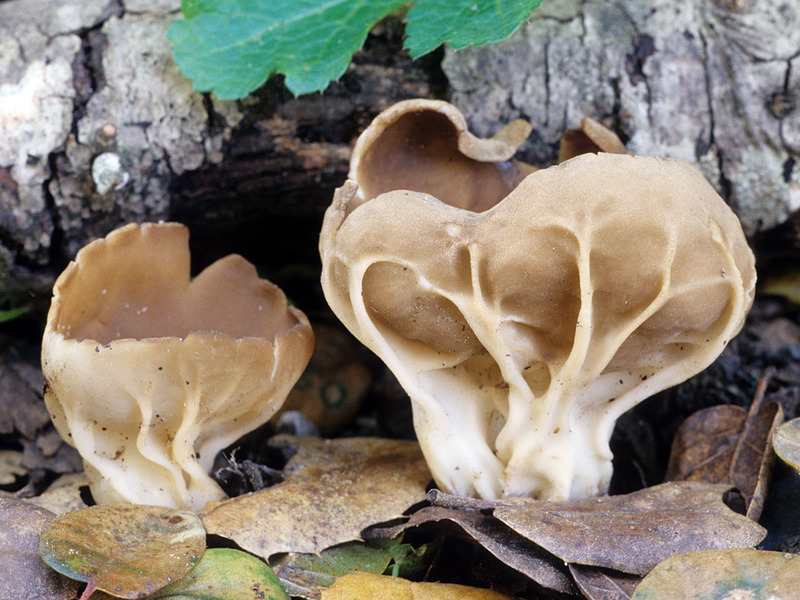 Helvella acetabulum is found occasionally along oak-shaded trails during the spring, sometimes with its much more common cousin H. lacunosa.